Get current updates by liking our page! Thanks, Christina! "Fox Red Labradors of the Past! 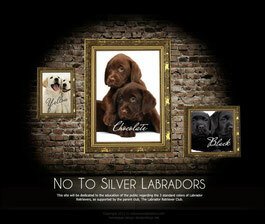 Author: Gregg Tonkin, Little River Labradors. 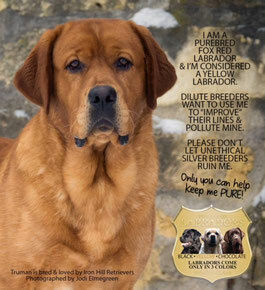 We see today fox red Labradors being a far more common sight than even 10-15 years ago. Even though it is not as rare to see one today, it seems they are following the "chocolate craze" of ten years ago, breeding only for color, completely forgetting breed type. As you are aware, the result was Labradors, AKC registered, that hardly resembled our breed except for having four legs and a tail. Fox red web sites are springing up advertising this shade of yellow and charging outrageous prices for puppies that barely resemble a Labrador Retriever. These "so called" breeders are pretty easy to pick out. In reviewing their web sites, no pedigrees are posted, there is an absence of even the most basic required health clearances for Labrador Retrievers (OFA Hips and Elbows and yearly CERF exams), and you will not see evidence of any AKC titles or activity. There are a few breeders that are trying to not only maintain breed type but improve it as well. 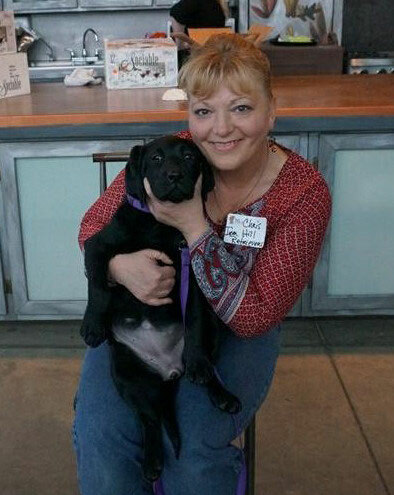 The two pioneers of fox reds in the United States are still around, Sally Kelley of Kelleygreen Labradors and Judy McCormick of Keepsake Labradors. In recent years Sally Bell of Borador Labradors has been doing a lot of work in diversifying the narrow gene pool of the fox red shade. Pam Naranjo DVM of Penara Labradors has been producing some very nice fox red Labradors. In addition there are a couple field breeders that have some nice, talented fox reds. I'm sorry if I have missed anyone but after having fox reds for 14 years and active in the breed, these are breeders I know that are actively working with the shade. Ch Keepsake's Cajun By Kelleygreen Kardinal x Keepsake's I Love Lucy bred owned by Sally Bell Borador Labradors, bred by Judy McCormick Keepsake Labradors. Sadly this beautify boy is no longer with us. Ch Keepsake's Red Star Rising By Borador's Moose x Keepsake Fiesty Austa owned and bred by Judy McCormick, Keepsake Labradors. Ch Pointed Little River Redheaded Stranger By Keepsake's Cajun x Little River Strawberry Fields owned and bred by Gregg Tonkin Little River Labradors. 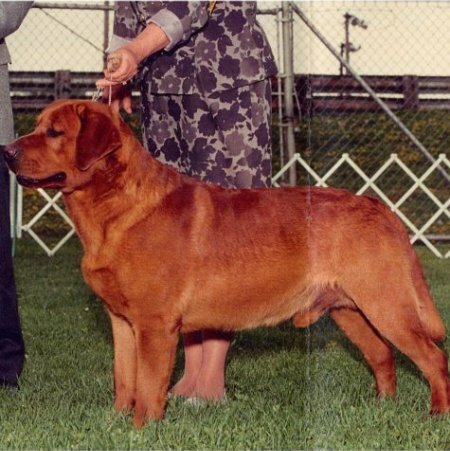 Here in the United States and since the late 80's in Europe, fox reds and dark yellow Labradors have not done too well in the show ring. Quite frankly it is an uphill battle for several different reasons. In the UK, over the years a few dark/red Champions have been made up like Lady Barlow's Ch Knaith Beatty (1965-1979), Lady Barlow and Felicity O'Brien's Ch Castlemore Martin WC, CD (1975-1990), Lady Barlow's Ch Valleyview Seymour, of course Ch Wynfaul Tobasco, and the most famous of them all, the last Dual Champion in the UK, Mrs. Veronica Wormald's Ch Knaith Banjo (1946-1961). It certainly has not been a common place and has gone through a long dry spell for the last 20 years. 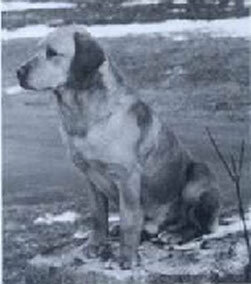 In 1976 Mrs. Wormald wrote in the Labrador Retriever Magazine, "The type now exhibited is different...I feel that it is very sad that the deep golden colour is now rarely seen, and wish we could get it back again." Mrs. Jacqueline Barlow wrote in her Labrador Quarterly article, Gundogs, The True Yellow in the Spring of 1993 issue, They are having trouble with judges in England who have preconceived ideas about what they think a Labrador should look like and I believe we are having the same problem in North America. "The Trouble" according to an English breeder of an age with myself is that there are so many who never saw the GREAT DOGS as you and I were so privileged to do! I think those of us who did, we should pass on what we can, hence my article at this time on the true colour of the yellow Labrador." 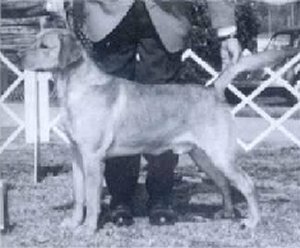 "Ch Valleyview Seymour, Anieson Admiral Vian of Audley, Nedoch Heath of Wynfaul"
"Ch Castlemore Martin WC, CD By Ch Brentchase Hickory x Castlemore Chlohelga"
Given the above, it is hard to imagine the accomplishment of Sally Bell's Keepsake Cajun overcoming all those odds and becoming only the second true fox red AKC Show Champion. I cannot think of a more deserving Labrador than Cajun. I saw Cajun at the age of 18 months at the Miami Valley Labrador Specialty in Dayton Ohio, what a stunning boy! A Labrador given his quality of any other color/shade would have finished quickly but even for Sally, it took her a while to gain acceptance of her red dog. While a red Labrador success's come few and far between. 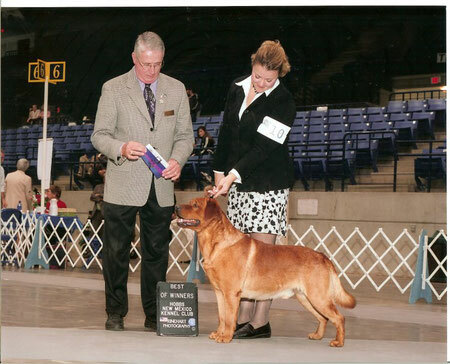 A dog named Emerald Isle's Sirens Song back in 1994 owned by Abby Hoover, shown by Rusty Howard, and sired by Balrion Red Alert became the first AKC fox red Show Champion. 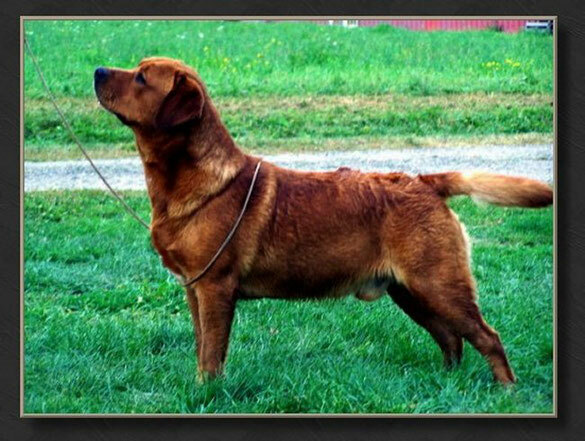 He was not as dark as Cajun but certainly a fox red Labrador. "Emerald Isle's Sirens Song By Balrion Red Alert x Meadow Oaks Golden Glory"
Keepsake Brickhouse has been competitive in the All breed ring and was Reserve Winners Dog at the 75th National Specialty in 2006. 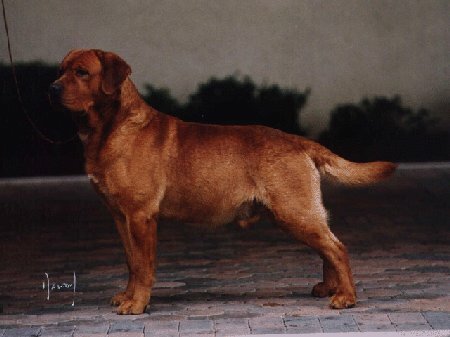 Another fox red boy, Keepsake's Red Badge of Courage co-owned by Patty Block and Judy McCormick was also Reserve Winners Dog at the Greater Atlanta Labrador Retriever Club in 2005. Our Willie is AKC Champion Pointed, has been a Specialty Class and Best of Breed Winner, consistently placing every time shown in the Open Yellow Class at Specialties and currently being shown in All Breed. the best we have been able to determine, he was the 3rd true fox red to be awarded AKC points. Ch Keepsake's Red Star Rising truely is a "rising star" in the world of fox reds. With his young age, his mark will be around for years to come. It should be noted that he has been handled by Rusty Howard the same person who also showed the Emerald Isles fox red dog to his championship.